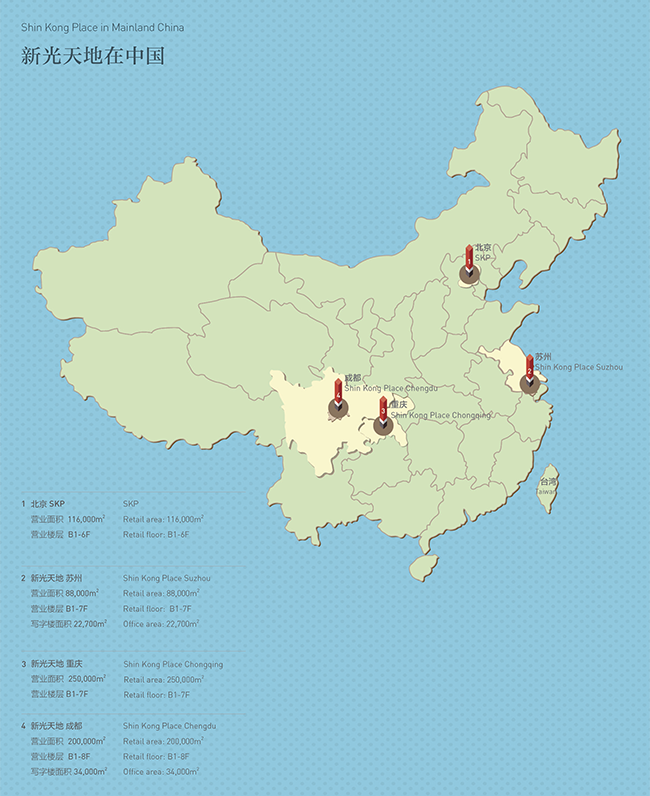 2007, Shin Kong Mitsukoshi establish a joint venture, Beijing SKP, with Beijing Hualian Group in China Central Place. 2015, Taiwan Shin Kong Mitsukoshi establish a wholly-owned business, Shin Kong Place Suzhou which is located in Suzhou Industrial Park, Jiangsu Province. Chengdu and Chongqing In Preparation.